Just a moment’s walk from Lake Geneva and one of the city’s main train stations, which has fast links to the airport, this 4-star hotel is perfect for a short stay in Geneva. Dine in the on-site restaurant, which offers seasonal Swiss favourites, and have a drink in the adjacent bar, complete with sun terrace. Business guests can utilise the 24-hour business centre and a selection of meeting spaces. Rooms have complimentary wi-fi, flatscreen TVs with satellite channels and minibars. This is a luxury hotel located in the most central avenue: Liberdade. Elegant rooms, fully equipped with wi-fi, fitness centre and a library. This is the ideal hotel if you want to discover Lisbon, while staying in the heart of this magnificent city . This 4 star cozy boutique hotel is perfectly located in the heart of Milan, just in front of the historic entrance Porta Venezia, walking distance to the famous shopping district, La Scala Theater and Cathedral Square, 5 mt away from Porta Venezia metro station. 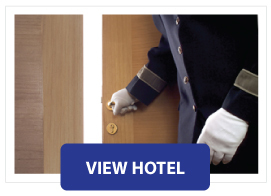 The proximity to the underground, the convenient connections to central railway station and to Milan’s main international airports, make this hotel the ideal meeting point for both business and lesiure travelers. Set in quiet grounds just 3 miles from Manchester Airport & close to motorway links Hallmark Hotel Manchester also offers complimentary car-parking and complimentary internet access. Free car-parking and use of the leisure facilities that included a health club and spa, a gym, sauna, a swimming pool, as well as a brasserie style restaurant and wine bar. This stylish 4-star hotel offers chic designer rooms and studios with glass showers and a free minibar. Free WiFi is available on all hotel premises and the restaurant, with its open kitchen and summer terrace, offers international cuisine as well as a rich breakfast. The hotels wellness center includes an aroma sauna, a steam room, a modern gym as well as a relaxation lounge. Furthermore, guests are welcome to enjoy their evening in the hotel bar. Munich’s city center is only a 15-minute journey away from the hotel. Found to the north of Hamburg, this stylish contemporary hotel is ideal for relaxing before or after catching a flight, being close to Hamburg airport, as well as direct train services to downtown. During your stay you can relax in the fitness room and sauna, and enjoy classic cuisine in the restaurant and bar. Rooms are furnished in a contemporary style and have high-speed wi-fi access, tea and coffee making facilities, minibars and safes. Experience Bristol in style with a stay at this contemporary hotel, found close to the waterfront and venues like the iconic Hippodrome. Enjoy fresh takes on classic flavours in the on-site restaurant or a drink in the bar. Rooms are all furnished in a contemporary style, with flat-screen TVs, laptop-sized safes and free wi-fi as standard.